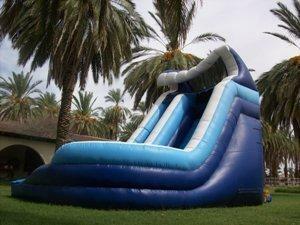 Huge Water Slide with landing pool. Dramatic piece with a wow factor. Steep sliding angle, front load. Good shape with normal wear & tear from rental use. Needs some velcro strips for pool liner.